July 28, 2017 – For the sixth year in a row, associates from the Wyndham Vacation Ownership (WVO) Legal Services team joined superstars from Global Force Wrestling to provide an unforgettable experience to campers at Camp Boggy Creek in Eustis, Fla. The camp, founded in 1996 by Paul Newman and General H. Norman Schwarzkopf, welcomes children with serious illnesses and life-threatening conditions to enjoy a summer camp experience free of charge. More than 30 Wyndham volunteers assisted with this year’s “Champions for Children” charity event featuring 16 premier Global Force wrestlers during the camp’s “Hemophilia and Juvenile Rheumatoid Arthritis” week. The day began with the wrestling stars greeting campers at breakfast and leading them in morning aerobics. Campers then engaged in a “meet and greet” which included photographs, autographs and receiving various gifts from both Global Force Wrestling and Wyndham. Following the “meet and greet,” campers were able to watch exclusive exhibition wrestling matches featuring a six-sided ring and inspiring speeches. Camp Boggy Creek serves children ages 7 to 16 with illnesses including cancer, immune deficiency, severe asthma, sickle cell, spina bifida, epilepsy and several other illnesses. Programs are offered year-round and families are never charged to participate. Operating Camp requires a devoted staff, about 2000 volunteers and an annual budget of almost $5 million dollars funded by donations from individuals, corporations, foundations and healthcare partners. Camp Boggy Creek is a U.S. 501(c) (3) tax-exempt organization. Additional information is available at campboggycreek.org or by following Camp Boggy Creek on Facebook, Twitter or Instagram. Global Force Wrestling is one of the world’s largest wrestling entertainment properties, creating more than 200 hours of original content annually across television and other digital platforms. Global Force Wrestling specializes in events, products, merchandise and music, as well as the management and promotion of professional wrestlers. The roster features such greats as Bobby Lashley, Alberto El Patron, EC3, Eddie Edwards, Davey Richards, James Storm, Low-Ki and the high-flying X-Division, plus the lovely and lethal Knockouts, including Gail Kim. Its highly successful flagship, IMPACT WRESTLING, broadcasts in more than 120 countries around the world, including Thursdays at 8 p.m. ET/PT on Pop (a joint venture of CBS Corporation and Lionsgate) in the United States, Fight Network and GameTV in Canada, Sony Six in India, Spike UK in the United Kingdom and SuperSport in Africa. Wyndham Vacation Ownership, a member of Wyndham Worldwide’s (NYSE: WYN) family of companies, is the world’s largest vacation ownership business, as measured by the number of vacation ownership resorts, individual vacation ownership units and owners of vacation ownership interests. 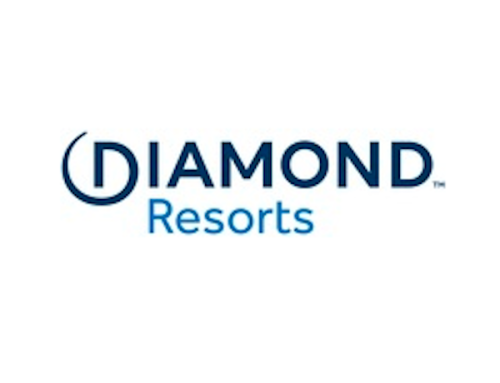 Headquartered in Orlando, Florida, the company develops and operates an expansive portfolio of resorts, managing comprehensive vacation ownership sales, marketing, and consumer financing operations. The company’s seven primary consumer brands include: CLUB WYNDHAM®, WorldMark® by Wyndham, CLUB WYNDHAM® ASIA, WorldMark South Pacific Club by Wyndham, Shell Vacations Club, Margaritaville Vacation Club® by Wyndham and WYNDHAM CLUB BRASILSM. As of December 31, 2016, the company has developed or acquired 219 vacation ownership resorts in the U.S., Canada, Mexico, the Caribbean, South America and the South Pacific that represent approximately 25,000 individual vacation ownership units and nearly 900,000 owners of vacation ownership interests. Wyndham Vacation Ownership is supported by approximately 18,000 associates worldwide.